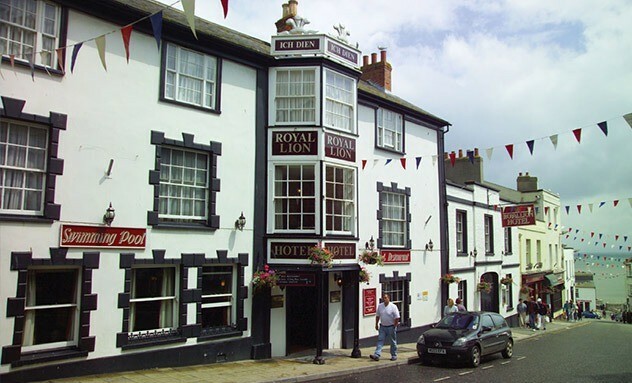 At the heart of the idyllic town of Lyme Regis, 'the Pearl of Dorset', is The Royal Lion Hotel, a stunning haven located in the middle of the High Street, with its own private car park. Lyme Regis is a picturesque town on the West Dorset border, part of the Jurassic Coast, a World Heritage site. Steeped in history, it is renowned for its fascinating past, mentioned in the Domesday Book of 1086, the unique fossils found in the cliffs and beaches, and for being the central location of the novel and the 1981 film, 'The French Lieutenant's Woman'. We enjoyed our stay in the Royal Lion very much and, based on our recent experience, it was good value for money. Initial impressions are all important and the welcome and helpful attitude of the reception staff was replicated throughout the hotel staff. We enjoyed one dinner in the first floor restaurant and a meal in the hotel bar which was more atmospheric; both meals were equally good in their own rights. Indeed, breakfasts were excellent with a wide choice.